Dimensions 0.50 by 7.25 by 7.50 in. Sethany Ann and Nicey Melinda, two dolls who have seen 110 Christmases, celebrate the special day by giving a party for their friends, in a magical story by a Caldecott Honor-winning artist. Amazon.com description: Product Description: Sethany Ann and Nicey Melinda, two dolls who have seen 110 Christmases, celebrate the special day by giving a party for their friends, in a magical story by a Caldecott Honor-winning artist. 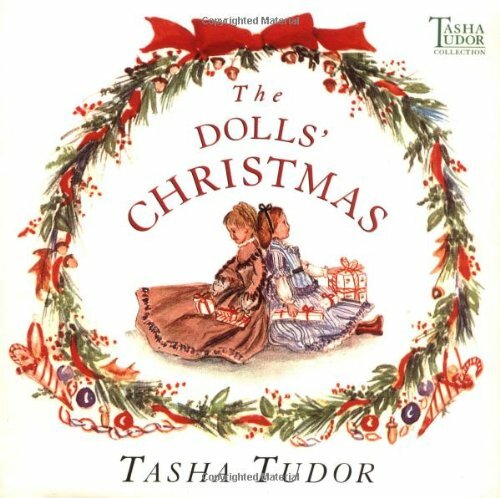 from Simon & Schuster (October 1, 1999); titled "The Dolls' Christmas"